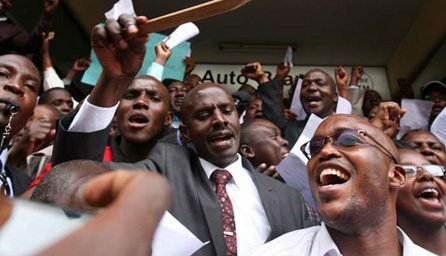 KNUT vs KUPPET: Kenya Union of Post Primary Education Teachers (Kuppet) has announced that it will noy participate in the strike that has been called by the Kenya National Union of Teachers (Knut). The Kuppet National Chairman Omboko Milemba has asked teachers to ignore the call to go on strike on September 1. He told a local media house that the issues on appraisals and transfer of teachers, over which KNUT wants to go on strike can be handled through talks. Knut Secretary-General Wilson Sossion is pushing the Teachers Service Commission (TSC) to drop performance appraisal for teachers. He also wants TSC to stop its delocalisation programme, which has seen 1,065 principals transferred since December 2017.